CEP Compression, a world leader in performance compression socks and sportswear, today announced the launch of its new commuter sock with targeted, graduated compression designed to support wearers while they’re on the go or at work. The new sock retails exclusively in Fleet Feet stores, online at fleetfeet.com and on CEP’s website. 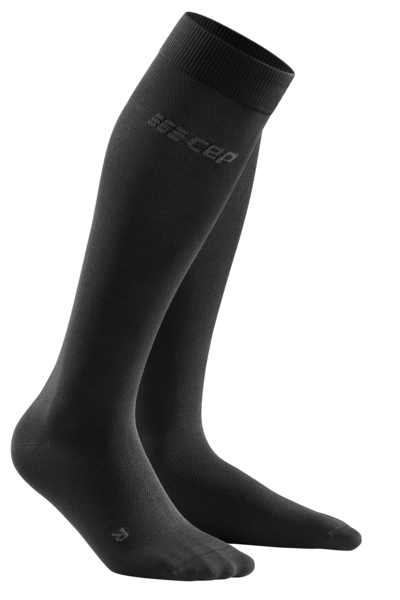 CEP Compression delivers true graduated compression across its robust portfolio of performance-enhancing products, including socks, sleeves, tights, and clothing engineered to help runners and other athletes. For more information about CEP Compression, please visit cepcompression.com. For more information about Fleet Feet, visit fleetfeet.com. About CEP Compression: CEP Compression is a high-end sports brand that uses targeted, graduated compression in its innovative product concepts that help wearers enhance their athletic performance and stay healthy. Backed by medical expertise and third-party verification, CEP offers a wide range of quality compression socks and high-tech functional sportswear. CEP products are designed to state-of-the-art production standards of its parent medi, one of the leading companies in the healthcare market, headquartered in Bayreuth, Germany. Working together with acclaimed scientists, sports physicians, and athletes, medi works to incorporate the best technologies and features in its products to drive quality and comfort across the entire CEP collection. Find out more at cepcompression.com. Follow us on Facebook, Instagram, and YouTube. About Fleet Feet: Founded in 1976, Fleet Feet is the largest franchisor of locally owned and operated running stores with 175 locations in 37 states and a national headquarters in Carrboro, N.C. Committed to offering expert advice, intelligent products, personalized solutions, robust training programs and 24/7 brand access at fleetfeetsports.com, each Fleet Feet location serves runners based on the belief that Running Changes Everything. Stay inspired, motivated and connected @fleetfeet.